"Horizontal style" underground septic/water tanks. These tanks range from 48"to 102" in Diameter. All of these tanks are designed for 7 to 10 feet of earth cover. Product range is 500 to 10,000 Gallons. "Drop & Go" easy burial septic tanks. These tanks are so easy to install you can do it yourself! No special backfill required, and with a flat bottom they sit perfectly flat. Fiberglass is lightweight so no need for special trailers or backhoes. Very popular, and are always in stock! "Bolt together" potable water tanks. Easily get 750 Gallons of safe secure potable water inside your basement with our innovative design. All of our bolt together will fit through you front door! The tank come in sections making it possible to secure 1850 Gallons of Potable water in one tank. This product line is perfect if you have ever been told that there is a “Boil Water” advisory in your area. Also works for additional water storage in case of disaster/emergencies. # 1) Reason to buy these exceptional tanks from PYW……They work fantastic. # 1) #1 Reason to buy this exceptional tank from PYW…Can pass through your front door! “Custom Tanks”. Are looking for a custom tank? You have found the right company. We get calls almost every week from companies looking for us to build a custom tank. 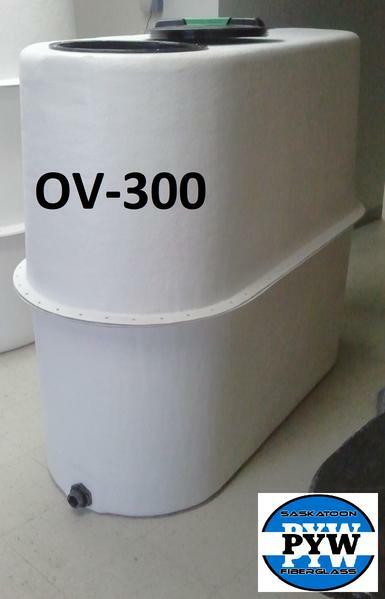 Let us help you with your above ground verticals, custom sumps, or whatever you manufactured! Come by, or give us a call to discuss your needs.